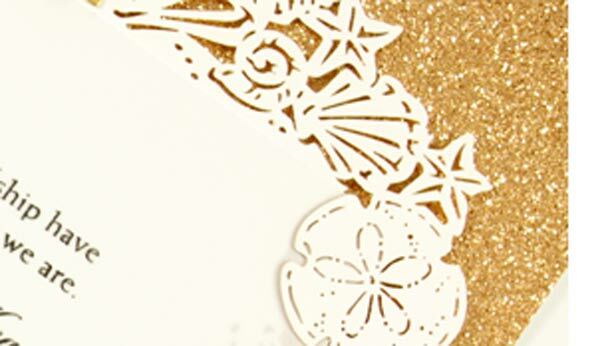 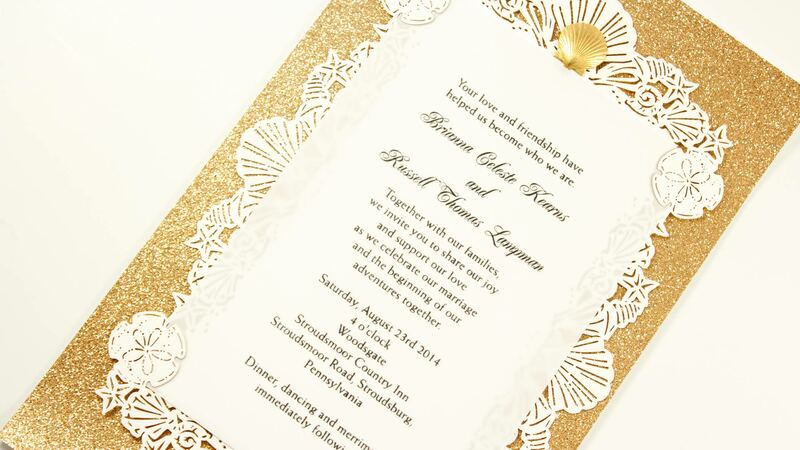 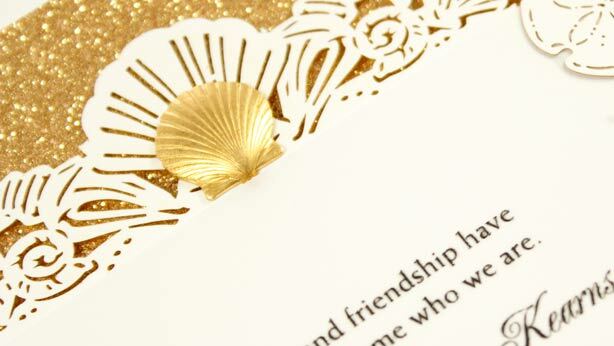 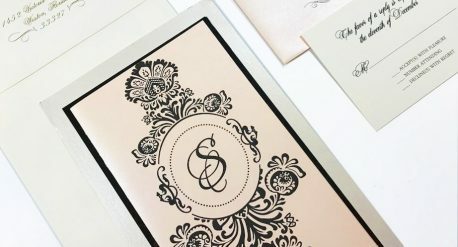 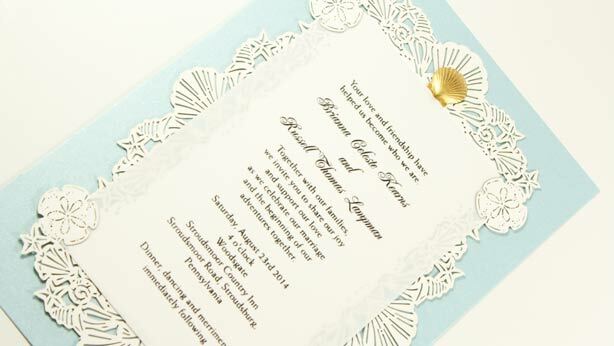 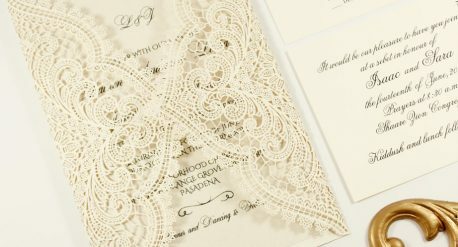 3 layered invitation consisting of gold glitter paper, laser cut shell motif, wording layer, and a gold shell embellishment. 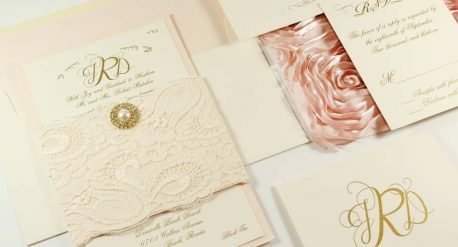 The suite can be done in numerous colors and sizes to adhere to your wedding style. 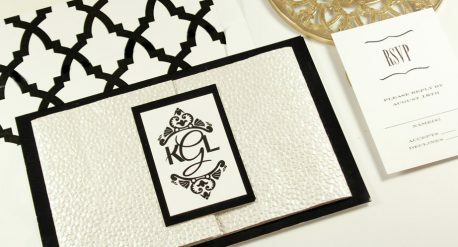 Variety of embellishments to choose from.